As a small business, it’s not always easy to gain traction. And when you have just seconds to make an impression, your strategy is crucial. At KickCharge® Creative, we believe powerful marketing means standing out…never blending in. That’s why we roll up our sleeves and get to know your business from the inside out. 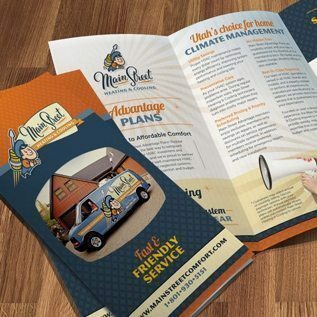 We tap into our clients’ strengths to create polished, professional print collateral that commands attention and gets noticed (not to mention looks really cool!). Brochures: Whether they’re a leave-behind or part of a sales pitch, brochures offer a glimpse inside your company. We know how to capture your business and create flawless pieces that make your professional image the right one. Learn more about brochures by KickCharge. Direct Mailers: This traditional approach hasn’t lost its touch. We craft clean, concise mailers that are anything but junk mail. These pieces are 100 percent customized, measurable and tailored to your business objectives. Point-of-Purchase Displays: We know how to reach your customers and make a splash with eye-catching displays. From the design to the headline, our work is built to impress—and bound to get noticed. Print Ads: Tight spaces in print ads often pose the biggest challenges. 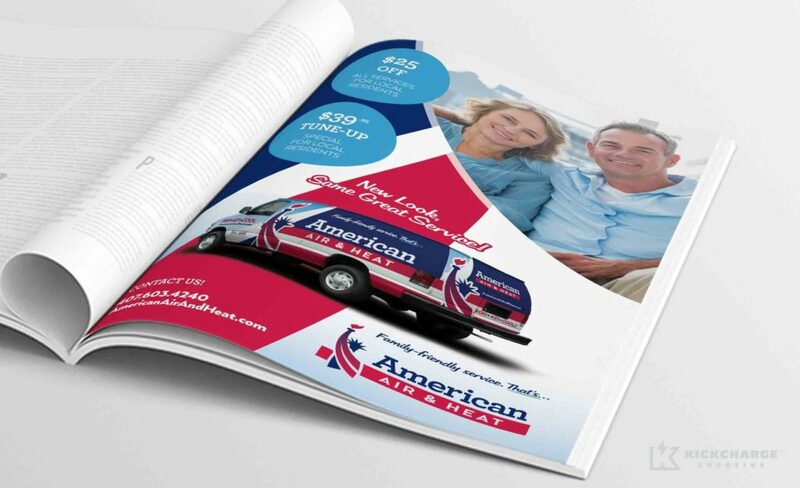 When you need to make a big statement in a small space, our print ads bring your brand to life. Stationery: Your stationery is often the first thing people notice. 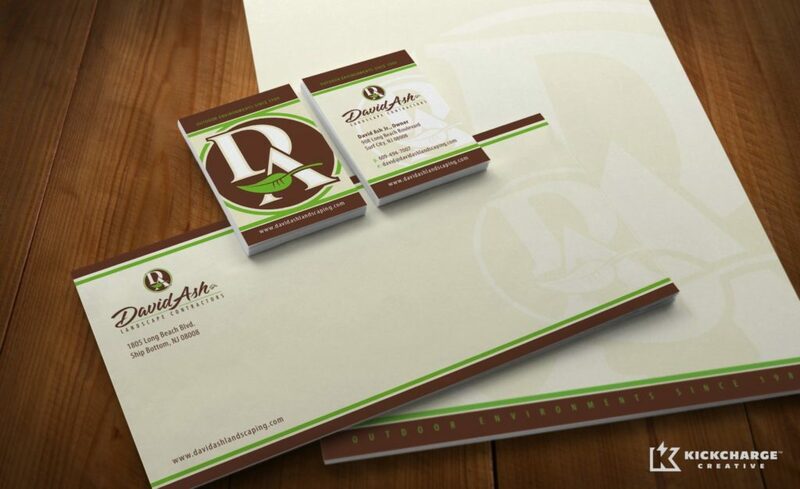 We use your brand as the foundation to design stationery that is clean, professional and one of a kind. Door Hangers: Drive home your message to the entire neighborhood! Door hangers present the perfect opportunity to get customers familiar with your business or seasonal specials. We create colorful, easy-to-read hangers that will help you get your foot in the door. The list doesn’t end here! 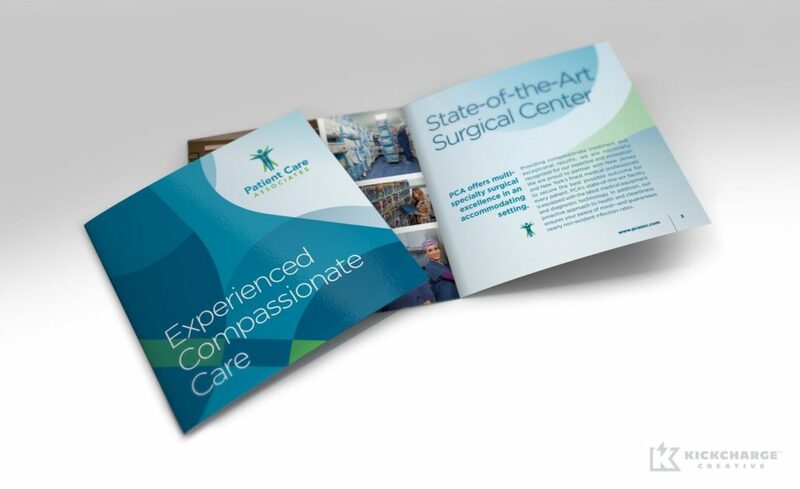 Contact us to learn about our other print and collateral services. We have a passion for creating bold, branded pieces that deliver the right results for our clients. For every project, our writers and designers join together to make your print and collateral one for the books. To learn more and get started with your project, contact us online today or call 800.836.4666.